The following video gives you a great overview of the different strategies that are working the best in the current market. Its a recording of our live webinar that teach our powerful, proven techniques on Tradetobefree and Investtobefree.com. One of the questions I often get is how do you get started making money in stocks? And how much money do I need? Or, more accurately, how much money do I need to put into a brokerage account to make it worthwhile? Well, when it comes to buying individual stocks, there are a few methods that I have found work very well to make money. Which one you should choose does depend on how much money you start with and the time you have to spend on it each week. For those who have the most limited time, a methodology like the one taught on Investtobefree.com works very well for their needs. The back-tested performance of the 3 Stocks to Wealth newsletter was about 2,000% over a five year period (before commissions and slippage) the last time we checked. A time period that included the disastrous 2008. And this methodology only takes a few minutes per week to utilize. The newsletter comes out Thursday night and you would change 1 to 2 positions on average per week on Friday only. Always having 3 stocks in your account dedicated to this approach. 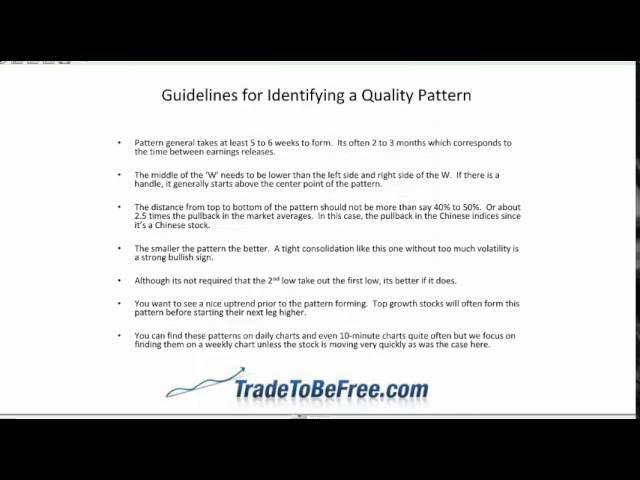 You incur about 170 trading commissions or so per year because you pay on the way in and on the way out of a stock. You can start with smaller amounts but generally $20,000 is a good amount to start with if you are using the Investtobefree.com 3 Stocks to Wealth newsletter. The Investtobefree 3 Stocks to Wealth newsletter has a terrific track record since inception and customers are willing to pay for superior performance so you need to factor in those costs along with commissions. With under 20k starting capital, you can check other online brokers and the account minimum. Robinhood currently offers free commissions at last check. Some discount brokers offer low commissions and even a set number of free commissions for new clients in some cases. Just count on about 170 trades or so per year with the 3 Stocks to Wealth newsletter. The other method we found that works well for us in our own trading is the Tradetobefree method where we buy elite growth stocks and other stocks with rapidly improving fundamentals as they are completing a pullback or consolidation generally within a longer-term uptrend. And we feature these on the subscription site just as they are near an ideal technical entry point. With this approach, assuming you have 3 stocks in your trading account at any given time, it will likely require about half the trades per year as the Investtobefree.com 3 Stocks to Wealth newsletter. With Robinhood, you can use this swing trading strategy and pay nothing in commissions at last check. So if you are disciplined and have the half hour or more per day to use the Tradetobefree.com subscription site, it can be well worth it. If you have more time than money to invest in training or newsletters, our book teaches you how to find and trade great swing trading setups at a very low cost. And our new explosive bottoming pattern course teaches you a very high probability low risk trade that can work great even with a basic trading platform like Robinhood. Hope that helps you decide which route to go and how much you need in the beginning. As always, talk to your personal financial advisor about how much you should put into individual stocks based on your personal financial situation. And then get started down the path of making your personal fortune in the market by choosing one of the great options above. I am interested in your 3 stocks to trade per week. But I only have$10,000 in my Roth IRA and $7,000 in my individual trading account with TD Ameritrade. Is that enough money to work with? You may want to switch to Robinhood because they do not charge commissions and these strategies can be easily used with Robinhood. Unlike day trading strategies, you do not need a more expensive trading platforms with this swing trading strategies. But either way, that amount is enough to start with and have it work well. Well talk to a financial advisor or do you your own research to diversify your overall portfolio based on your personal needs. But a lot of people put money into different “buckets” each month. One bucket could be a diversified fund and another bucket could be into your aggressive portfolio. Once you identified how much you are willing to risk in stocks, then you can educate yourself on the best trading strategies and start practice trading. But once you move to a live account, Robinhood offers commission-free trading and you can get good charting through your online broker you have for your IRAs or stockcharts.com which is inexpensive. So trading costs and expenses are now very low which allows you to make money with virtually any size account. Robinhood can be used successfully with our strategies in the Daily and Weekly Alert and also the explosive bottoming pattern and earnings eruption course. Do you offer a course, as well, as the newsletter? Or do you just provide us with the stocks to invest in for the swing trade? I’, just curious if we are taught your underlying strategy, so we can see clearly why you choose, these everyweek. Or are your Youtube videos enough? The Youtube videos explain a lot, however, there is a lot more critical information in the book covering our main swing trading strategy used in the Weekly and Daily Alert. We also offer the earnings eruptions video training course and the explosive bottoming course which are shorter-term trades and are excellent as well. The product page has more info on each strategy which we use in our own trading. New here but need clarification about the trigger price for your stocks. It says to go to the website to get up to date charts which I can’t seem to find but more importantly, how does one determine if the trigger has been met on the daily close using the trendline which seems to be very thick on the charts on the the alerts. I have been trading for 20 years mostly options. I contacted your co because I read Gregory Witts book Rolling sticks and I can not find a scanning service that can isolate mostly less than 5 dollars rolling stocks. I am excited to see samples of that service. I also have Vector Vest. You will find great “rolling stocks” or channeling stocks in all price ranges in our Daily Alert service. Mostly on stocks above $5 as those tend to be more reliable. We don’t use Vector Vest ourselves. However, we do use many of Zacks products.